Welcome to the Connect for Health Colorado Media Center. Connect for Health Colorado is a new health insurance marketplace for individuals, families and small employers across Colorado. In their own Words. Hear what other Coloradans are saying about the importance of health insurance and Connect for Health Colorado. 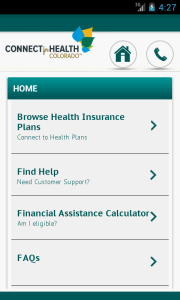 The Connect for Health Colorado Mobile App is your companion to the Connect for Health Colorado shopping website. Need information on the go? 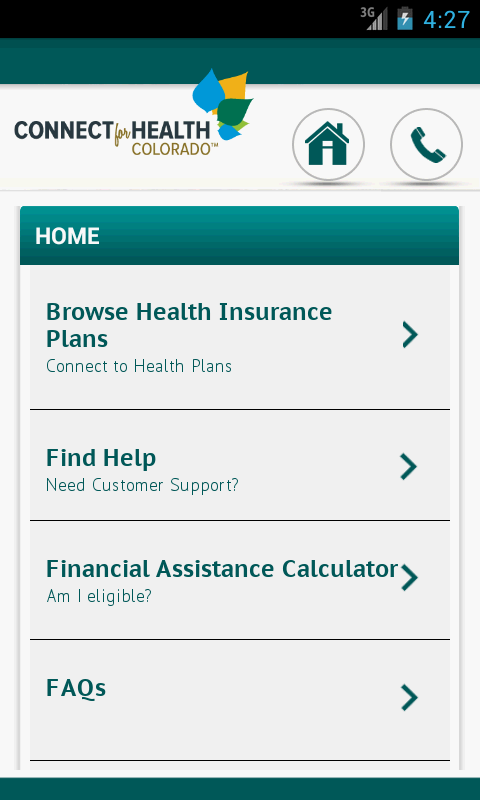 Check out health insurance prices and features and save the plan you like best on your mobile device. You’ll need to go to ConnectforHealthCO.com on your computer to buy your plan. Find Certified Assistance Sites and Certified Health Insurance Agents nearby who are trained and ready to help you look at your options, apply for financial assistance and sign up for health insurance. Use our tax credit calculator to see if you may qualify for tax credits, health insurance plans with lower co-pays and deductibles, or for free or low-cost health insurance (Medicaid/Child Health Plan Plus). Search our FAQs to help you get ready to shop.